The area immediately around Everton offers a wonderful variety of locations to enjoy. From from the bustling, ancient, maritime market town of Lymington, the quiet charm of coastal towns Milford-on-Sea and Keyhaven to the New Forest that separates Everton from the rest of Hampshire to the north, west and east. 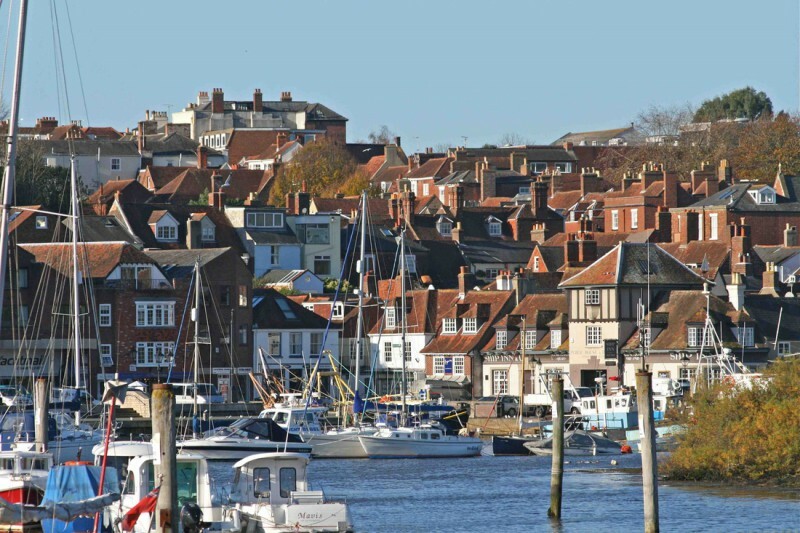 Below is the view across the Lymington River to the Town Quay and up to the hill that carries the High Street due west. The port was a major commercial enterprise for hundreds of years, but now is principally known as one of the largest yacht havens in the UK with over 1000 moorings available. 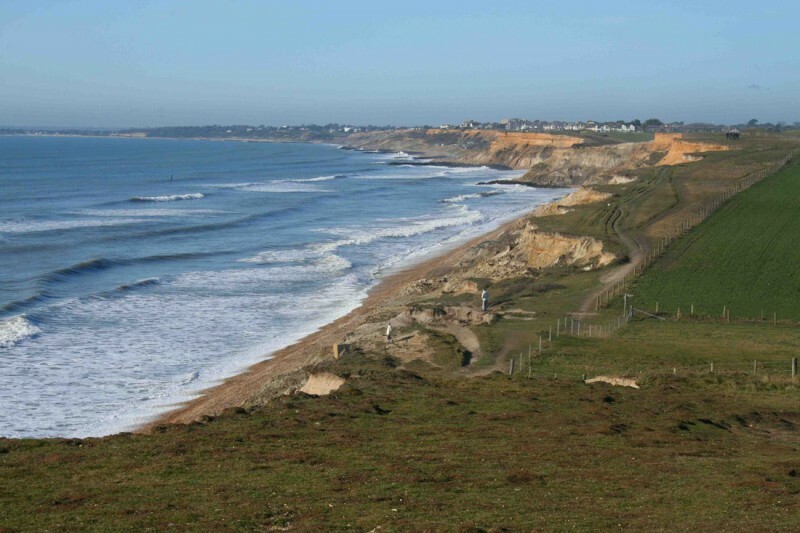 The clifftop path between Milford-on-Sea and Barton offers spectacular views over Christchurch Bay west towards Bournemouth and east to The Needles and the Solent. The view is literally ‘ever-changing’ as the cliff erodes at an alarming rate; step carefully. The photo below shows the view from the top of Peterson’s tower. 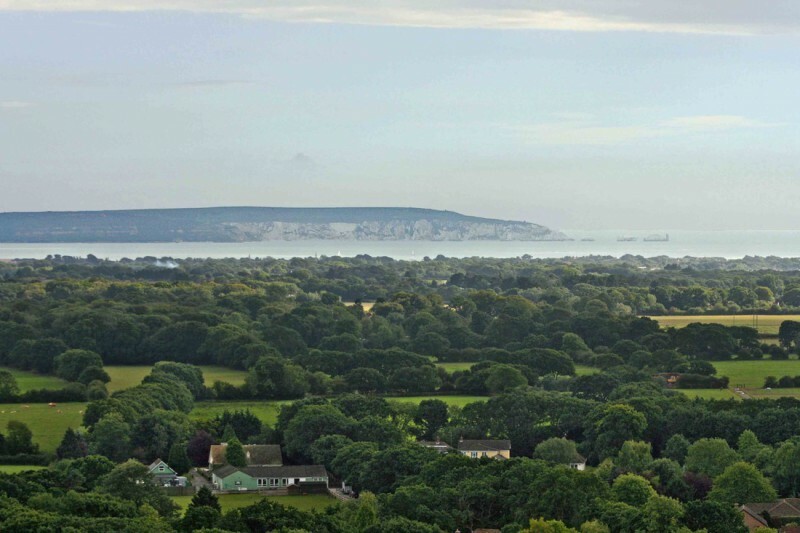 The Isle of Wight’s western end dropping down to The Needles is clearly visible. The wooded southern edge of the New Forest hides Everton which lies along this view due southward. 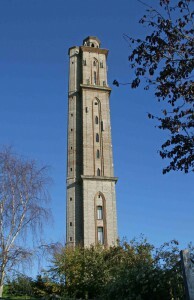 The tower itself is a spectacular landmark, visible from The Solent and many points in the New Forest. It was built in the late 1800s by the retired colonial judge, Andrew Peterson. It was partly a job-creation scheme for local labourers. At 218ft, this Listed Grade II tower is the earliest tall ‘mass concrete’ structure in Britain. It was built without the now customary encased steel reinforcing rods. During construction, a system of repeatedly lifted shuttering was deployed. Originally housing Peterson’s mausoleum, then at various times a hotel and a restaurant, the tower is now a private home. Peterson’s Tower is an exemplary English ‘folly’. Surely nobody would be granted planning permission for such a structure today!! 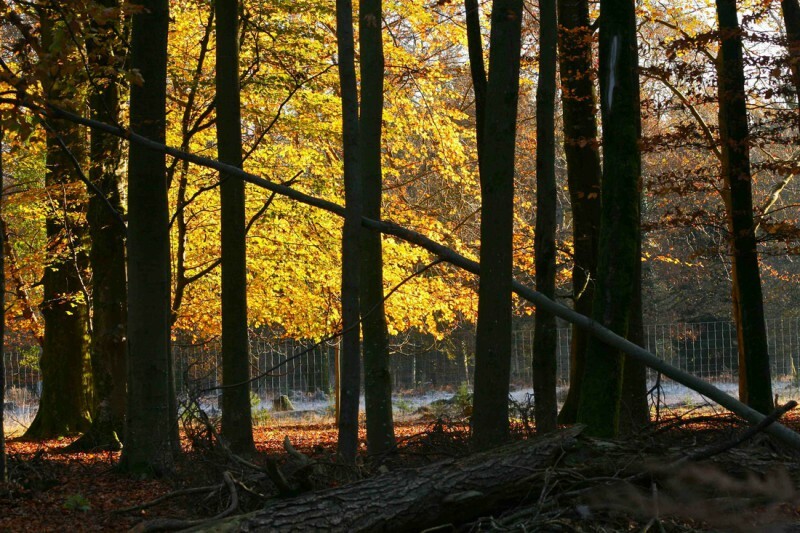 The forest offers many, many miles of footpaths, bridleways and cycle paths for visitors and residents to enjoy. 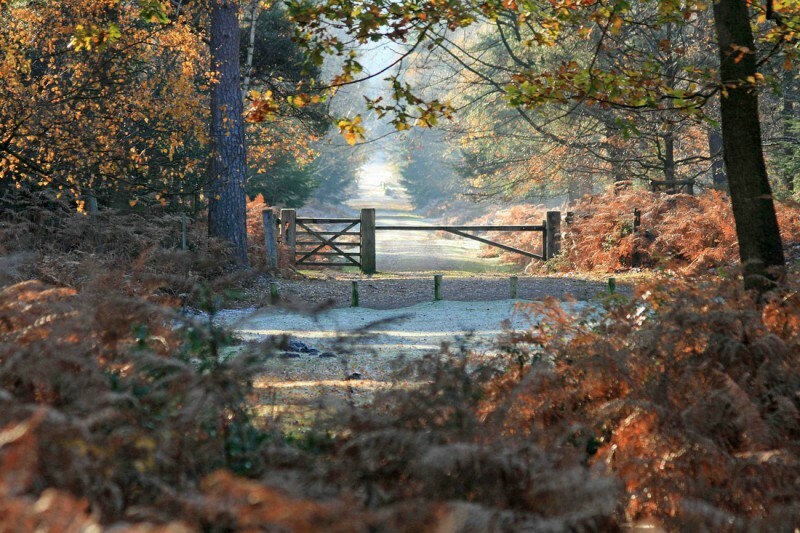 The mix of open heathland and decidious woodland is a haven for a huge variety of animal- and plant-life. Everton’s climate is closely scrutinised by our very own Rain Man. This doughty inhabitant runs a serious weather station and routinely provides tantalising data for the Everton Newsletter. Thus we discover that a certain road in Everton is the fourth sunniest in the UK! The sunshine record is a benefit of being close to the coast. Fog is very rare here, though Evertonians do hear the foghorn at The Needles on the Isle of Wight when it sounds to warn unwary mariners. Our proximity to the coast also ensures that we a warmed in the winter as compared with towns farther inland. Given the prevailing south-westerly airflow along the south coast, the Isle of WIght shelters us from rainfall: it tends to falls there first, rather than on us. At about 450mm precipitation per year, Everton is one of the driest parts of England and perceptibly drier even than near-neighbours like Bournemouth or Southampton. Until three or four winters back, many Evertonians claim they had not had to scrape a car windscreen for many years. However, some very light dustings of snow have since been seen (check Everton Village History for evidence! ).